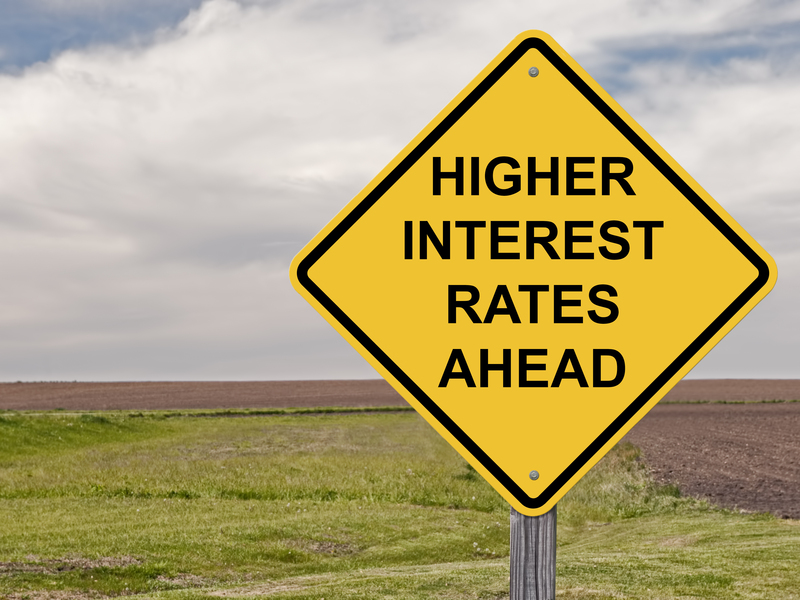 Do You Recognize the Early Warning Signs of an Increase in Interest Rates? As we move through the last quarter of 2017, there are a lot of questions regarding the economic landscape for 2018. Will assets continue to increase? How long can this run of growth last? Should I fear another financial crisis like 2008? Before I dive directly into my forecast, it’s important to recap 2017, as some of these variables will impact decisions and outcomes in 2018. From a macro level, our economy has continued unsubstantiated growth throughout this year. We have set new benchmarks, as unemployment rates have continued to fall every month through September. The stock market has continued its historical climb. New construction, residential home sales, and the number of mortgages originated have all seen an increase from 2016. The strength of the economy has given people more discretionary income, which has created a demand for assets and driven values up. The truth is all trends point towards continued optimism. All of this is in the face of political instability, constant talk regarding the possibility of nuclear war, and continued conflict internationally, as well as domestically. I do not bring that up to get into a debate about politics or to even hint that any of the above will influence the market in 2018. I say that to point out there is an underlying confidence of economic health with investors and consumers. So, how long will this last? When it comes to forecasting the future, I must be honest I do not have a crystal ball. There are a plethora of analyst who are much smarter than me, and who get paid a lot of money to predict future movement within the market. However, I take a personal interest in following the economy, given that my clients and career is directly impacted by such factors. I would be providing a disservice if I did not voice my fears, or at least point out potential risks given certain changes on the horizon. My goal is not to drive insecurity or be the “Debbie Downer” in a booming market. I am not a pessimist by nature, quite the opposite. I only feel a responsibility to acknowledge impactful variables that could trigger a future decline. The Federal reserve meets once a quarter to assess the economy, analyze the most recent data, and determine if any changes need to be made. The biggest decision each meeting is what to do with interest rates, as this impacts almost every area of our economy. Most of the growth, or recovery from the financial crisis in 2008, can be credited to the historically low-interest market we have lived in the past nine years. When rates are low, more people can qualify for a loan, borrowers can qualify for a larger loan, and money circulates through the economy stimulating growth. The Feds actually increased rates twice in 2017, however, the increases were small, expected, and the overall economic growth was able to absorb the rate increases without any negative impact. However, consumers looking to purchase real estate took notice. With the incentive of getting a lower rate now, than in the future, demand for residential homes dramatically increased. In turn, the inventory of homes for sale started to shrink as properties were selling faster than before. The extra demand and low supply, locally, increased prices and helped sustain growth throughout the year. However, while assets (residential homes, real estate, stocks, commodities, etc.) increased in price, the overall inflation rate (the increase in the price of goods and services) has not increased at the same rate. A certain level of inflation is healthy and needed to progress as a worldwide leader in economic activity. More simply, it is not typical to have one area grow so quickly, and the other area grows more slowly. This has left a lot of analysts, including the Feds scratching their head. The Feds must now choose a side, as a rate increase will stimulate (or should) inflation, however, it has the strong possibility to slow, flatten, or decrease asset prices. 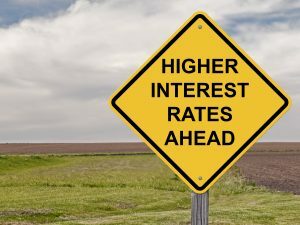 As interest rates increase, it will be harder for small business owners, as well as consumers, to acquire the same loan amount or even qualify at all. When borrowing power decreases, less money circulates through all sectors of our economy. And this is where my curiosity is peaked …..
How will people react when they start to see their 401(k) balance drop? What will people do when the optimism dies, and your home value starts to drop? Heaven forbids we hear the word “recession” on the news and now fear and worry tied to the financial crisis of 2008 become a reality. The impact of the great depression influenced financial decisions for decades to follow. As we experience some modest turmoil, will the confidence of today, carry us through the fears of tomorrow? Here is my opinion, and I remind you this is just my own opinion. The decision to increase interest rates in December is almost imminent. The Feds have hinted, and all major analyst and banks are anticipating the hike. As rates increase, and the borrowing power shrinks, the demand for most major sectors will drop. This will leave us with a surplus of supply, decreasing values in most asset classes in 2018. Depending on the reaction of consumers and investors, will ultimately dictate how far prices drop, and how long it takes before we steady ourselves as an economy. I say all of that to caution against the desire to maximize the value of your most important assets by timing the peak perfectly. We are much closer to a decline than a continued incline, so I ask you how important is certainty? Do not risk your ability to choose, by taking for granted the fact we have options today. You Probably Don’t Want To Hear The Truths About Why Your Home Isn’t Selling, Do You?